Laura holds a MSc in Integrative Counselling and Psychotherapy specialising in mental health issues. Laura strives to provide a safe, non-judgemental therapeutic space in which each individual can use the space to explore issues and reflect on life experiences in order to achieve greater understanding and acceptance of self and others. She works using a person-centred and integrative approach to psychotherapy where she prioritises the unique potential of every individual to make positive transformations, also integrating psychodynamic, psychosynthesis and cognitive behavioural approaches in her work. Laura works with a variety of mental health issues including anxiety and depression, complex trauma as well as interpersonal, relationship and intimacy issues, low self-esteem and anger. Through her previous therapeutic work in cancer support services Laura has specific experience of working with persons and their families who are experiencing a cancer diagnosis and those with a terminal illness. Further to her work in counselling and psychotherapy Laura has a wealth of experience working with families in a family support role- providing direct support regarding issues such as mental health, suicidal ideation, domestic violence, parenting and child protection. 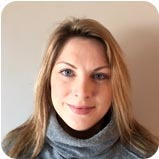 Laura has worked in front-line community services since 2004 initially working in homeless services dealing with persons experiencing alcohol, drug and gambling addictions and mental health issues including childhood trauma and childhood sexual abuse.